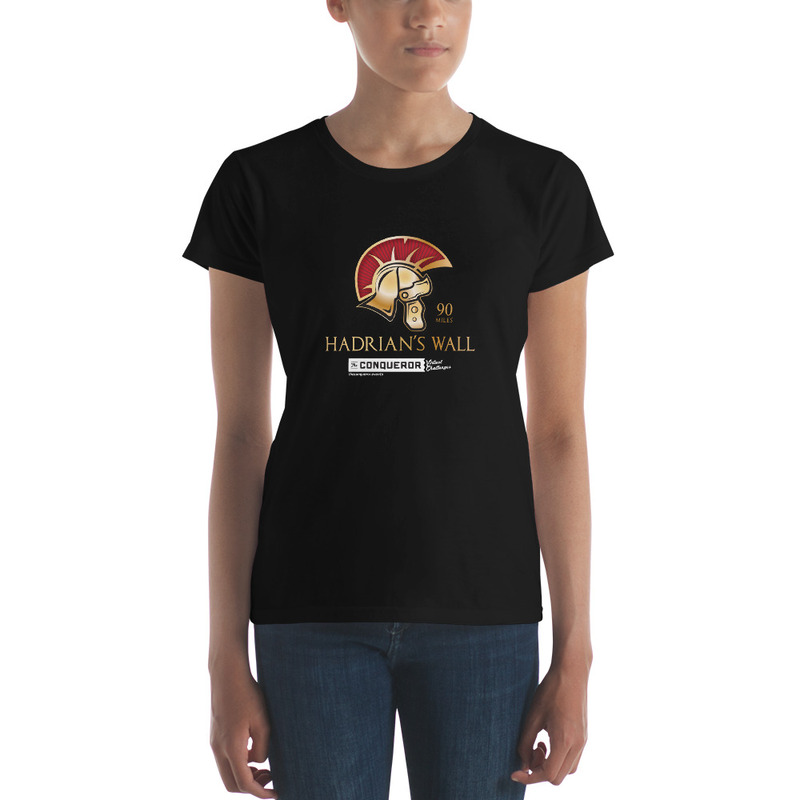 Battle Your Way Across Hadrian’s Wall! The Hadrian’s Wall Virtual Fitness Challenge takes you 90 miles along the historic Hadrian’s Wall path across the north of England. Each time you complete a distance based exercise activity such as running, walking, cycling etc you advance along the map along Hadrian’s Wall. The perfect tool for maintaining focus and motivation whether you are training for an event or just wanting to have fun while keeping fit! Go solo or start a group and invite others to join you. Start your fitness journey along Hadrian’s Wall today and earn a stunning, Hadrian’s Wall medal! See you on Street View! Check out your virtual surrounds on Google Street View. See yourself and others on the map and directly on Google Street View. Sync with your favorite fitness tracker or log distances manually within the web/mobile app. 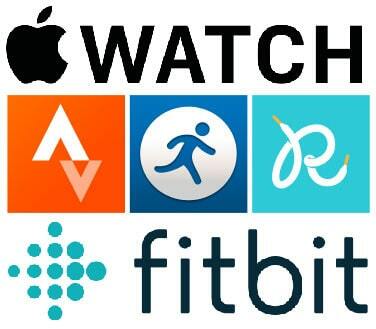 Currently we support: Apple Watch, Apple Health, Fitbit, Strava, Map My Run/Ride and RunKeeper with more coming soon! View weekly, monthly and all time leaderboards. Compare your progress against your team, those you follow or everyone. 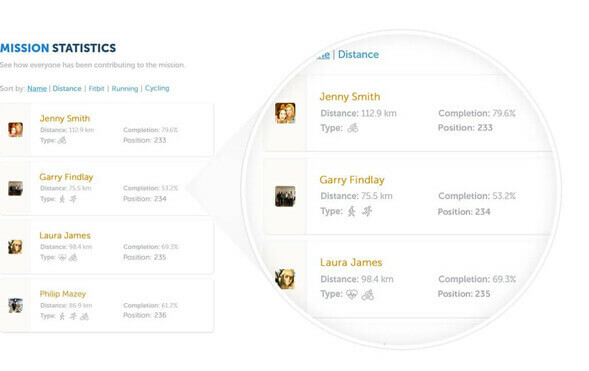 Filter the leaderboard to compare your progress against other runners, cyclists, walkers or whatever type of exercise that you do. NEW – Set up a “Community” and filter the map and leaderboard to only show people and/or teams who are part of that community. 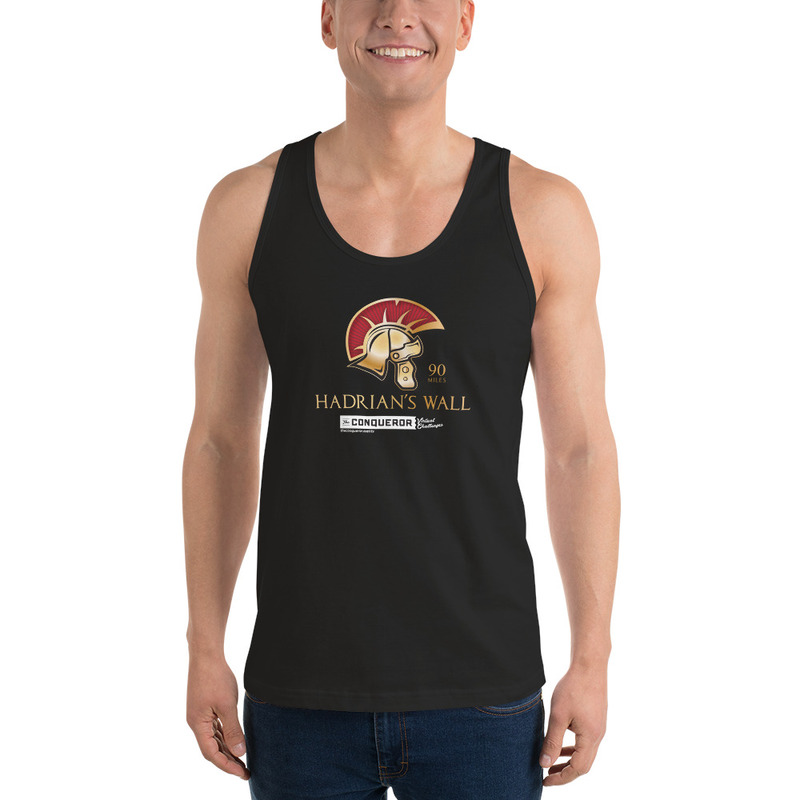 Perfect for corporate wellness programs, clubs or schools. 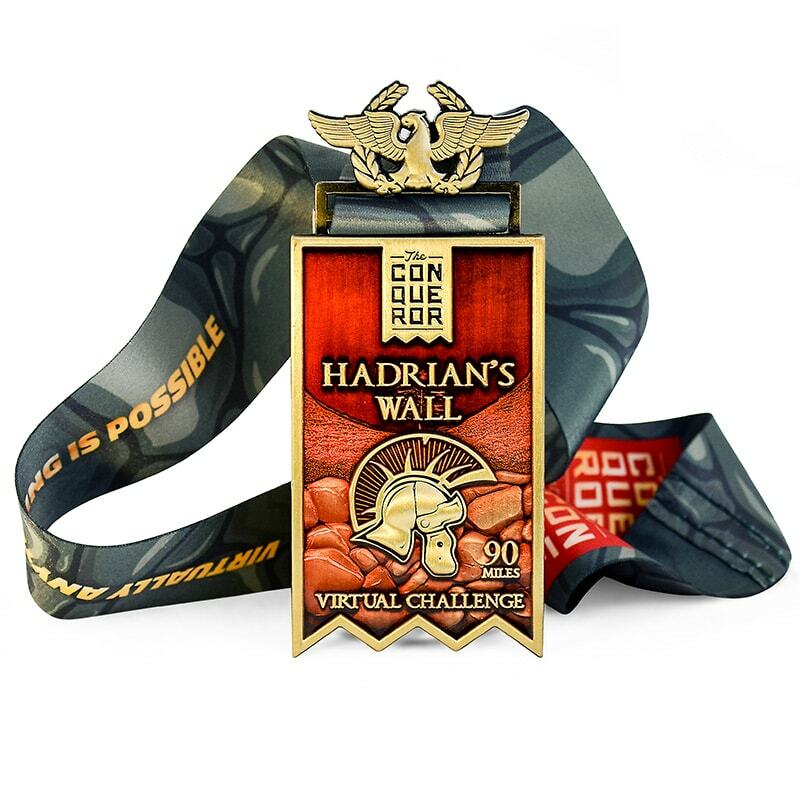 Celebrate your achievement with a stunning, limited edition Hadrian’s Wall Virtual Fitness Challenge finishers medal. Medals get mailed to you once you have completed the challenge and are guaranteed to stand out in your medal collection! Not your average t-shirt range! 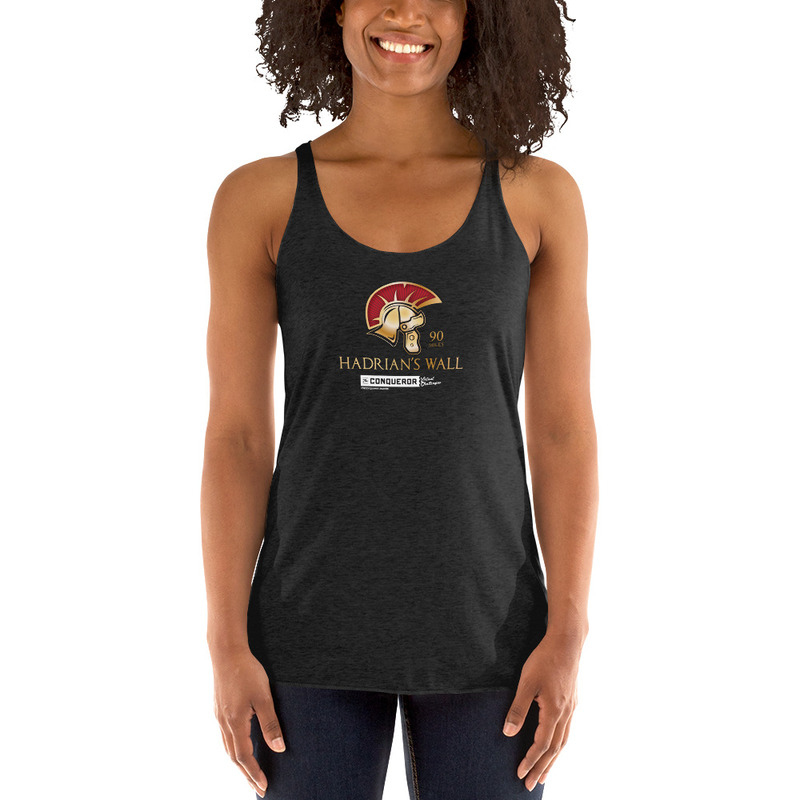 Take your pick from two designs in men’s and women’s styles, a huge color range and sizes XS-4XL. 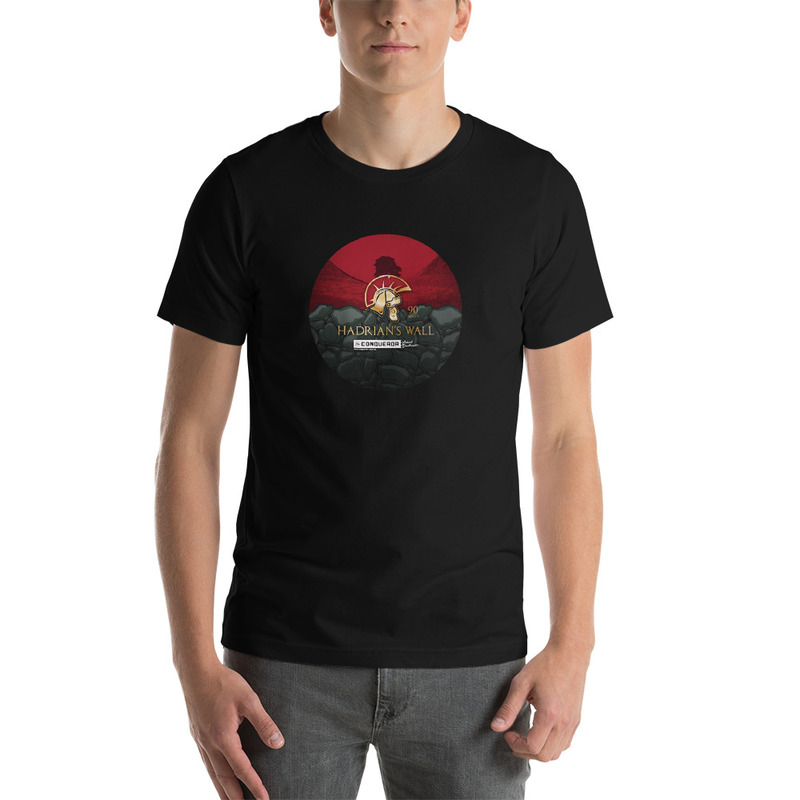 Shipped to you once you begin your challenge. Login on the web or through our 4+ star rated iPhone or Android mobile apps. Get a group of friends or workmates together and share the load or take on the challenge by yourself. Pick your start date and chose how many weeks you want to set as your goal to complete the challenge depending on your exercise type, fitness level and how many other people there are in your team (if any). Any distance based activity can count towards reaching the finish line. Do cartwheels if that’s your thing. Enter as an individual or in team. Choose a completion timeframe that suits you best. You can change this at any time. 7.5 miles per person, per week. We thought you might have some questions! Hopefully we have answered them below. Still have more questions? Click here to contact us. How do I log distances? Manually – Either on the web or via our iPhone and Andriod apps. Select your exercise type, add a distance and boom, you’re done. Automatically – Via the range of apps and devices that we connect with. Currently we support: Apple Watch, Apple Health, Fitbit, Strava, Map My Run, Map My Ride, Map My Walk, Runkeeper. What's stopping someone from cheating? We do have a number of ways that we can detect cheaters, however we do realise that no matter what we do or how we structure it people are always going to be able to cheat if that’s what they want to do. E.g. Put their Fitbit on their dog! There are no prizes for first place. If someone wants to cheat then they are only really cheating themselves and wasting their money. How long does it takes to complete the full distance? The full distance of the Hadrian’s Wall Virtual Challenge is 90 miles. The amount of time it will take you or your team to complete this journey depends on your fitness level, exercise type and team size. Use our handy calculator above to work out what it’s going to take! What is The Conqueror Social Club? 1. 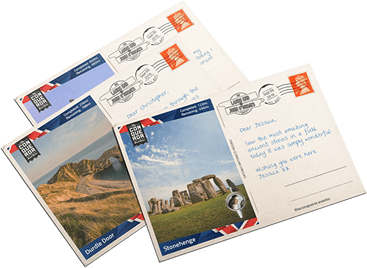 Personalised virtual postcards – You’ll receive these when you reach certain landmarks. 2. Double entry into the prize draws. Joining The Conqueror Social Club is free and easy. Just tick the box when you sign up. To receive the benefits, all you have to do is complete any 3 tasks out of the list of options. These tasks must be completed between August 23 2016 and October 15 2016 to be eligible. When can I register for the challenge? You can start this fitness challenge any time. Registrations are open now so feel free to sign up and make a start. We’ve made it as flexible as possible so you can backdate your start date to whatever date you want as long as it’s after the date we launched the challenge. I'm already on a mission. Can I log distances to this event also? Yes – You can log your distances to more than one mission at a time, including this event. This is a new feature on the My Virtual Mission platform. Can I log multiple exercise types? All others can be logged to the “other” category. You can also convert other exercises such as sports that you play or going to the gym etc into distances. We can provide information on some ways to do this. How long does the challenge go for? You get to choose how many weeks you want to aim to complete the challenge. You/your team can change this goal as many times as you like during the event. Teams are a fun way to take part in the event. Basically you share the distance with the other people in your team. Your team will have your very own team icon on the map. Each time a team member posts a distance your team icon will advance up the map. Your team will also be represented on the leaderboard. You (as in you personally) will also be able to see information about your own achievements and rankings separate from the team. The distance doesn’t have to be divided evenly among team member. You can team up with guru athletes and people just starting out! So hustle up your friends or workmates and join the fun! Can I enter from outside of the US or UK? We warmly welcome registrations from all over the world. Join our global community of virtual fitness enthusiasts! How do I access the event once I've signed up? The event is powered by My Virtual Mission who have been delivering map based fitness challenges for groups and individuals since 2013. When you sign up for the challenge you will automatically be set up with a My Virtual Mission account where you can log in and access the event. You also receive 12 months of My Virtual Mission premium when you sign up so you can set up your own challenges if you want. There are 3 registration options to choose from. You can view the event pricing on pricing page.